Aglianico is a red-wine grape originating in Greece (though no longer found there) but developed chiefly in its present home, southern Italy, notably the Basilicata and Campania regions. 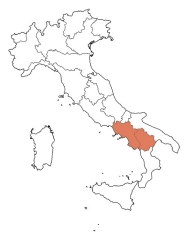 There is a highly regarded DOCG (Italian wine appellation), Aglianico del Vulture, in Basilicata; there is now also a DOCG Aglianico del Vulture Superiore. In Campania, there is the Taurasi DOCG, another respected type. The del Vulture must legally be 100% Aglianico; the Taurasi may contain up to 15% of a certain few other reds (Barbera is most often used, though Piedirosso and Sangiovese sometimes show up as well). Aglianico is a major grape, often called "the Barolo of the South". Jancis Robinson, in her Guide to Wine Grapes, does not show Aglianico as quite reaching the highest heights, and we have followed by not boldfacing it at the left; but there are not a few wine fanciers who would disagree and designate the grape "world class". It is now being grown in a few new World areas, notably California but also Texas and Australia (it is most definitely a warm-climate grape). It seems to do especially well on volcanic soils (which drain very well, and Aglianico seems to like dry roots). Aglianico is a big wine: dark, full-bodied, strong, rich, deep, with the high tannin levels and high acidity that make it an excellently ageable wine. Owing to its tannins and concentration, it can be on the rough side when young, and typically wants at least a few years of bottle age to start showing its fruit and, in general, reaching its great potential. Good specimens tend to taste of dark fruit (cherries and plums are often mentioned), frequently with the overtones of chocolate often found in big red wines. Good examples can readily age for a decade or two to their advantage. 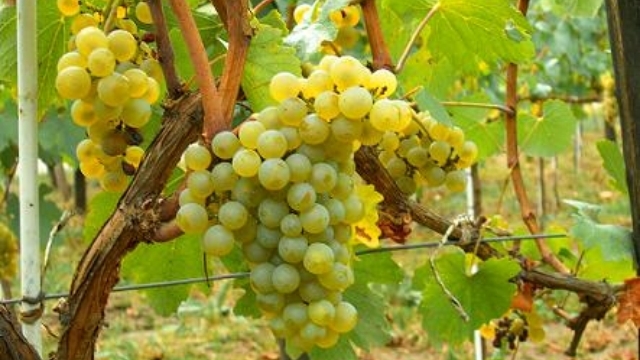 Factoid: Aglianico was the dominant grape in the well-known ancient Roman Falernian wine—which, curiously, was a white wine (the white-wine grape now known as Greco di Tufo was the other component). Also: DNA analysis suggests that Aglianico and Syrah are related. "Wines produced from Aglianico tend to be full-bodied with firm tannins and high acidity, endowing them with good aging potential. The rich flavors of the wine make it appropriate for pairing with rich meats such as lamb. In Campania, the grape has been blended with Cabernet Sauvignon and Merlot in the production of some Indicazione Geografica Tipica (IGT) wines. In its youth, Aglianico is very tannic and concentrated, requiring a few years of aging before it can be approachable. As it ages, the fruit becomes more pronounced and the tannins more balanced with the rest of the wine. The trademark coloring of the wine is a deep garnet. In well made examples of the wine, it can have chocolate and plum aromas." "It makes firm red wines with real savour that is somehow more mineral than animal or vegetable yet they do not lack fruit, and have great structure that promises a long and generally rather glorious life. Aglianico's high tannins and acidity, and its evident ability to age, has inspired some to call it the 'Barolo of the south'. Praise indeed – although Aglianico is generally much deeper crimson than the Nebbiolo grape responsible for Barolo." "The grape ripens late in the harvest, and if done right will produce wines that are inky black, with firm-to-huge tannins, and a powerful structure that benefits from 5-10 years or more of cellaring. Common characteristics of Aglianico wine include a smooth, rich, texture and aromas and flavors of black fruit, dark chocolate, coffee, leather, smoke, and mineral. In other words, pretty complex. While traditional / old-school Aglianico wines tend to be too harsh and bold when young, many wineries are employing modern techniques to produce examples that are ready to drink upon release." "It is known to produce full-bodied red wines that show musky berry flavors with firm tannins and good aging potential. Even when grown in hot climates, Aglianico is capable of reaching high levels of acidity, which makes it a particularly useful vine in the Mediterranean. . . In their youth Aglianico wines tend to be very tannic and concentrated, especially if adverse weather conditions force producers to harvest their crop before it has achieved complete ripeness. A few years of ageing has a favorable impact on the wine and helps the tannins to soften and the fruit profile to emerge. Aglianico wines are typically garnet-red, fading to terracotta tones after sufficient time in bottle. Aglianico vines prefer warm, dry conditions, and therefore the grape has been trialed in California and Riverina, Australia. It ripens late even in these warm climates, with the best examples offering aromas of chocolate and plum." "Wines produced from Aglianico tend to be full bodied with firm tannins and high acidity, making this a wine that has aging potential. The rich flavors of the wine make it appropriate for matching with rich meats such as lamb. In Campania, the grape has been blended with Cabernet Sauvignon and Merlot in the production of some Indicazione Geografica Tipica (IGT) wines. In its youth the wine is very tannic and concentrated, with need of a few years of ageing before it can be approachable. As it ages the fruit becomes more pronounced and the tannins more balanced with the rest of the wine. The trademark colouring of the wine is a deep garnet. In well made examples of the wine, it can have chocolate and plum aromas." "The combination of flavour, tannin and acid means that these wines are suitable for aging. In Italy this variety makes full bodied elegant wines with firm tannins and high acidity. "It is an early budding, late ripening variety and in the right hands can produce very long-lived wines of intensity and finesse. In the past young Aglianico wines were often fiercely tannic and harsh - fortunately improved techniques in both the vineyard and winery have led to fresher and riper wine being made that are eminently approachable in youth but also still improve with bottle age." "A late ripening varietal, Aglianico boasts inky-black depths of color, fiery tannins and a firm structure. Aromas and flavors of black fruits, smoke, dark chocolate and even iron are common. Young Aglianicos have a tendency to be harsh and bold, but new world wine-making has made the better examples more approachable at an early age. Aglianico is a long lived varietal, with better examples improving in bottle for decades." "[M]ost of the wines [in a major Aglianico tasting] were distinctively structured and earthy, with flavors of red fruit, licorice and menthol. . . [T]he aglianico producers in our tasting seemed to have backed way off their earlier use of small barrels of new French oak. The tannins in the wines seemed to have come naturally from the grapes. We detected little in the way of oak tannins or the vanilla and chocolate flavors imposed by the barrels." "Aglianico is deep ruby in color with black fruit and earth aromas. Powerful and broadly structured with firm tannins and a long finish. Bouquet and mid-palate develop in three to five years, but continue to improve for ten. At maturity, Aglianico displays a deep garnet color and rich, satiny texture with aromas of coffee and leather." The quotations in the listings below are excerpts; we strenuously urge you to click on the green diamond ♦ symbol by each quoted review to see the full article. ♦ This planting has the distinction of being the first North American planting of the variety. This wine is bottled unfiltered and unfined after spending 24 months in small oak barrels. This Aglianico opened with big leather, but not clearly barn-like aromas (perhaps a mix of Brett and long oak exposure?). Floral notes and faint jammy berry aromas followed. In the mouth, this medium-bodied wine was kaleidoscope of berries, leather and oak. The mouthfeel was plush, rich and round with good acids and notably dusty and grippy tannins. This led into a drying finish with some heat and faint fruit dominated by leather. Overnight, bretty aromas seemed to become more sharply defined and were accompanied by some light blackberry. In the mouth, vague berry flavors were accompanied by a horseblanket-like character. The structure kept its form with dusty textures, good acids and some heat. The finish was rather drying but juicy and then hot on the second day. ♦ For $14 to $18 the 2004 Caparone Aglianico from Paso Robles is a hell of a wine, muscular and pretty like a gymnast. The aromas are exciting and intense: leather and violets for days, a beautiful Northern Rhône-like perfume. The wine shows excellent balance on the palate, with muscular and masculine tannins, robust and true acidity, good minerality, and exactly ripe black fruit — some fleshy plum, some sweet berry. There's even some cool mint here, which makes me suspect that cabernet sauvignon plays a bit part. Overall, this Caparone Aglianico shows complete presence from the front of the palate to the back. ♦ Caparone Winery’s Aglianico is still made the way Dave and Marc Caparone have always made it — by growing the right grape in a climate where it thrives, then making wine with minimal handling and manipulation. They make big red wines, unfined, unfiltered and without too much oak, expressing the flavor of the grapes. Their Aglianico is very deep in color, full-bodied without being overly extracted, with dark-fruit flavors enhanced by a subtle dustiness. Its balance of fruit, oak, tannin and acid makes it a great accompaniment to hearty dishes and hearty wine lovers. I appreciate their practice of holding their wines back for an extra year of aging. ♦ For an Italian wine buff like myself, Caparone was a great stop. Unfined and unfiltered for the people, the wines are lean and made for the table, just like I like 'em. My favorites were the rich, savory, leathery 2002 Aglianico and the spicy, well balanced 2002 Sangiovese. Molto buono! ♦ Don’t let the price fool you -- they make complex wines built to be able to age well over 20 years. The 2005 Caparone Aglianico, like the rest of their portfolio, is 100 percent varietal. 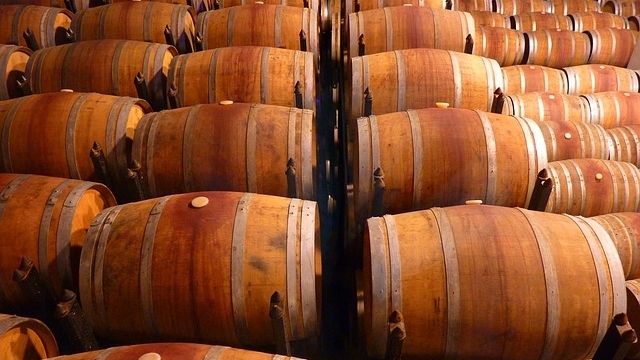 Caparone ages their wine in barrel for an average of two years, followed by a year of bottle aging prior to release. Their wines are unfined and unfiltered. Cherry, leather and cigar box elements fill the nose of this Aglianico. This wine has a full, rich, weighty mouth feel, and the palate is loaded with fruit and spice notes to spare. There is a sense of purity and natural winemaking in this wine that syncs up with the Caparone style and credo. Continued cherry is joined by a tremendous amount of earth and espresso, along with touches of pencil lead. These kick in at mid-palate, and carry right through the finish -- very impressive in length and persistence. This wine has excellent acidity and will pair well with roasted meats and other hearty fare. The Caparone wines continually blow me away, and the 2005 Aglianico is no exception. ♦ It opens with a heady nose of black cherry fruit. The first sip reveals readily apparent but not overwhelming oak. The mid-palate is full of earthiness and a plethora of spices. There is a muskiness to this wine that adds weight to the mouthful. The long finish is highlighted by smoke and pepper notes. This Aglianico is impeccably balanced with good acidity. As stated oak is readily apparent but doesn’t detract from the fruit at all. It drinks fine on its own, but the Caparone wines are built for food. Also like the other wines the Caparone’s make this Aglianico is built for the long term. I’d expect the earthiness on this one to increase with some age. For $14.00 [now $16] you’re going to have a hard time doing better. ♦ When we opened the bottle we noticed the stone fruit and black berry aromas characteristic of this wine. In the glass, although unfiltered the wine was a translucent dark ruby red color. Swirling the glass we noticed slow developing, long running tears indicating substantial structure to the wine. On the palette [sic], the wine was rich and complex, with moderate tannins and good acidity. The food friendly alcohol level at 13.2% was not overwhelming, and just enough to give a sense of a nice mouth full. The finish was long, supple and satisfying. This is a classic Italian style wine like one would find at a small Italian family winery, or on the table at a Trattoria. With mild tannins, good acidity and low alcohol level, it is very food friendly and a good paring partner with a rustic oregano-tomato dish. ♦ And what fantastic wine it is! They only make reds, specializing in the Italian varietals — aglianico, sangiovese, and nebbiolo. In fact, Caparone was the first in America to grow Aglianico. These varietals plus Zinfandel are estate grown. (They use grapes from nearby vineyards for their cabernet and merlot.) The wines are not the hyper-oaked, heavy, fruit bombs that typify the California style. Caparone wines are done in a more time-consuming old world style, with as little processing as possible. They are not fined or filtered. They are barrel-aged for several years and then bottle aged for more. The resulting full-bodied wines are complex, earthy, and food-friendly. The alcohol content is decidedly light for California reds, weighing in at between 13 and 13.4 percent abv. All six styles are great to drink now, but they’ll continue to develop in the bottle for many years. ♦ The thing that stands out about these wines is their positioning as everyday, enjoyable, Italian-style full-bodied wines. They are certainly priced that way—all of them are $14 [now $16] a bottle, but the thing is, these wines are exceptional values and would be a steal at $30 a bottle. Unfined and unfiltered, these wines are made with a minimal amount of intervention and are beautiful in a very graceful way. . . This is a burly wine that is drinkable now, but has enough bite that it’s certainly best paired with food. On the UC Davis scale I gave it an 18. I really like this wine, and all of the Caparone wines. My notes for the wine: This is a flavorful, mouth-filling, bracing wine with ample tannic structure that will let it age for years, balanced with enough zingy acidity to drink young. Dark berries and plums in the nose with a more berries and a touch of cranberry, leather and pepper on the palate and a medium long finish, this is a wine to enjoy with a hunk of red meat, grill optional, but appreciated. I gave it an 18 out of 20. Excellent. ♦ Since he does little self-promotion, not many people are aware that Dave is among the pioneers of making serious wines from Italian grape varieties in California. Caparone released the first varietally-labeled Sangiovese in the US in 1986, and the first Aglianico in 1992. . . Caparone 2008 Aglianico: Medium color, with loads of baking spice, earth, ripe dark berry fruit, and a hint of oak. More structured on the palate, the acidity and tannins reinforce each other, leading to a slightly harsh finish that will need some time in bottle to smooth out. ♦ Caparone 2006 Aglianico is a deep inky ruby color - a little mysterious. The aroma is rich and rustic, with a hint of barnyard, a lot of earth and leather, and some purple fruit - rich blackberries - on the back. As you might guess, this wine is full-bodied - chewy, with prominent tannins. The taste is incredibly rich and bold. It's not too fruity, but blackberry and black currant are definitely present. Also present are a bit of barnyard again, some black pepper and a smoky charred component. The wine is well-balanced - with lots of everything! And it has a long, long finish. This wine has a particular style that reminds me of a Super Tuscan. ♦ Planted on volcanic soils on the slopes of the extinct Mount Vulture, the grapes produce raisined, dark fruit of great concentration. Aromas of eucalyptus and liquorice promise much, leading into a dense, complex palate of dates, stewed red fruits and violets. One year in French oak has added some licks of spice. Very moreish indeed. 92 points. 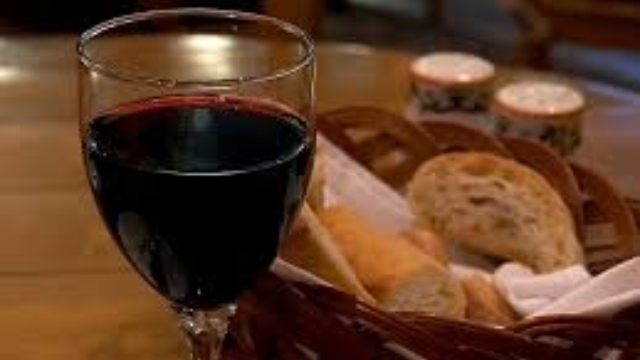 ♦ Mediterranean herb, black-skinned berry and baking spice aromas float out of the glass. On the firm palate, notes of anise and ground pepper accent a core of dried black cherries while aggressive, close-grained tannins grip the finish. ♦ [J]ust the wine to cheer us all up… Gudarrà, the name of their top bottling (which has won several three-glass awards in Italy), derives from a local word for 'enjoy', which chimes well with me… The 2008 is very dark and dramatic-looking and from the very first taste you know that a lot of that lovely summer sunshine is trapped in this bottle. Unlike the 2006 when tasted a couple of years ago, this wine is already attractively mature and supple - I should imagine that the 2007 has reached a similar stage of development by now. I recommend that you take advantage of this well-priced wine that has a certain volcanic smokiness and real complexity about it. It carries its alcohol extremely well. A southern Italian for claret lovers? ♦ From the first scent of sweetness on the nose, you know this is going to be good. Light pepper gives a little kick. Full and divinely textured fruit flavors of dark cherry, currant and a bit of mocha are quite balanced with a touch of duskiness. It doesn’t linger and is velvety smooth going down. This is immensely enjoyable from start to finish. It is an excellent value at around $20 for a wine of this caliber. Enjoy! ♦ On the nose you’ll find both fruit and spice notes, and the palate is beautifully balanced. The fruit is ripe, but not overly so. The acid and tannins come together with the fruit to produce a wine that is elegantly structured and a pleasure to drink. When I was drinking this wine at lunch, I kept thinking how unfortunate it was that this was yet another lovely $30 Italian red. An excellent wine, but too expensive for everyday drinking. Wow, was I wrong. ♦ [T]he 2008 Irpinia Aglianico was recognized on Wine Spectators most exciting wines for 2012. We bought half a case. And are planning to buy more. It has striking ruby red color with a full and complex bouquet and palate of marasca cherries, prune and berries, with spiced notes. I found the wine had to be open, breathing, for over an hour before it reached its full flavor. ♦ Dark and concentrated in appearance, this hearty Aglianico opens with tones of spice and smoked bacon backed by black fruit, tobacco and dark leather. The overall package is very enticing and that wine is softer and smoother than most other expressions of this firmly tannic grape. 88 points. ♦ Smells of the mountain, featuring aromas of pine, wildflower and stone that give way to ripe wild berry notes and firm tannins. Structured, with a minerally aftertaste. ♦ [Google-translated from Italian:] A dark ruby ​​red color with purple veins inside of the glass. On the nose the wine offers a wide and complex bouquet that ranges from enveloping fruity aromas of ripe plum, black cherry, black currant and blueberry, then intertwined with pleasant floral hints of violets and a fine spiciness of nutmeg, cloves, black pepper and ginger. You hear in the background also enjoyable balsamic scents, tabaccosi and slightly toasted. In the mouth the drink is to occupy the entire oral cavity, then settling at the center of the tongue to be scanned. And just as in an X-ray, is highlighted an already well-defined and flawless, round tannins and a mellow, an unlimited freshness, fruit material and substantial, a lymph velvety soft and elegant, a redundant minerality, a fluid dynamic and a calibrated balance. Closes on recursive fruity and floral notes create loyal, already perceived on the nose. The final stretch is balanced, persistent and successful. ♦ For those with a taste for rustic reds (count me in), this southern Italian red shows a pleasantly subtle waft of hay and manure, as in a well-tended horse stable. The texture is nicely polished, with berries, licorice, spice and minerals in the mix. ♦ This is a pleasantly intense wine with resiny aromas of tar, tobacco and smoked cedar wood. It has a dense, impenetrable personality and there are slightly bitter tannins on the close. 88 points. ♦ This mini Taurasi delivers in a very sophisticated old-world style. The nose of violets, black pepper, earth and cocoa is followed by similar flavors on a medium bodied palate with integrated tannins and long finish. ♦ The Terredora Di Paolo Aglianico 2008 has a nice ruby-purple color in your glass. The nose is dominated by black raspberry and blackberry fruit. On the palate, the wine is fruit forward with lots of dark berry flavor, but this is no simple fruit bomb. The wine has very intense but pleasant acidity for a fruit driven red, and the tannins provide additional balance. The finish has a little length to it and brings an added layer of spice and minerality. O verall this Aglianico has some very nice flavor and structure. There is quite a bit going on here for a bottle that retails for about $14 and delivers great value for the money. ♦ It is hard to imagine a better $12 bottle of wine than the Terredora Di Paolo Aglianico (Campania) 2008 ★★★★. An attractive medium-dark ruby garnet color, the nose is initially sweet, lithe, nicely focused, and lively, with spicy red fruit. With air, a fair amount of complexity develops, with notes of smoke, earth, tar, blackberries, toffee, and even a floral element. It was impressive how much complexity developed in the nose. Medium-bodied, svelte, with some gritty tannin, good acidity, the Terredora has generous flavors of juicy, spicy, red and black fruit with an underlying saline/mineral quality, a fair amount of bitterness, and a notion of toffee cookies, which is a very interesting counterpoint to the bitterness. It finishes very well. I was surprised to find out that this wine has no oak, since it is quite spicy, and I took the spiciness for oak barrels. ♦ Translucent garnet with brick red around the edges, there was dash of raisin intermingling amongst the enduring alcohol aroma. The body was on the thinner side, but not in a disagreeable way, as cherry and dried black tea tannins coaxed on the lengthy finish. Softer and rounder as the night moved along, earth, tobacco and cedar plumped up each sip. Bright acidity kept things light, whilst a lingering cherry coiled me back around to the very beginning. Dipping its toes in two different pools, it darts between zingy acidity and thick earthy resoluteness, making for quite an engaging glass. ♦ The work horse red grape of Campania, Aglianico makes a dark, ruby red wine that seems at once both refreshing and complex. Dark black cherry and freshly turned earth aromatics run deep but there is also a sense of brightness in the fruit. Dark cherry and red berry are the primary flavors that spread out soft and round on the mid palate, along with a hint of meaty gaminess and a nice layer of vanilla. ♦ Medium-bodied black fruits — cherry, plum, berries — are accented with aromatic, smoky oak, chocolate and light floral notes. Moderate, focused finish with chalky tannins. ♦ This wine, which is not from one of the more prestigious regions, is intended to be easy to drink at an early age. While it won’t age like the three Taurasis [in this tasting] and doesn’t have their complexity, it is delicious now and a great deal at just $16. Best Value [in this tasting]. ♦ Color is lighter than one might expect from this grape. Light to medium red with light purple edges. Aromas are very fragrant from the start. Dark cherries, licorice, vanilla, green peppercorn, and an interesting hint of a pungent green leaf. (arugula?) Flavor, medium weight, concentrated, and focused, aromas really carry to the palate, slight chocolate, sweet ripe fruit, balanced acidity, nice dry finish. The finish is OK, a little short. Very Good-. Buy again: Yes. ♦ Although aglianico is known to produce some intense, very tannic reds, this Terredora Di Paolo is an easy-to-drink, medium-bodied wine. If you like good Chianti, you might enjoy this wine. While it does have a powerful aroma, this wine has soft tannins, making it very approachable. It has some lovely blackberry and dark fruit flavors with just a touch of tobacco. It also has a refreshing acidity, making it a good match for dishes with tomato sauce. ♦ The 2013 ‘Campole’ displays a notable dark, inky color followed by aromas of blackberry, dark cherryies, spices, earth, sandalwood and crushed stones, which all come together in this tasty Aglianico. On the palate this is full-bodied and with a lovely round, suave texture which is kept extremely light on its feet from the lovely underlying acidity and minerality. The finish shows nice length framed by dark fruits and minerals. 90 points. ♦ [N]ose of cherry liquer and berry cobbler. Palate is very minerally. A bitter edge that smooths out on the back of my palate. The more I drink the more I want…complex and balanced. (my favorite) This wine is screaming for "Cioccolata!" ♦ The wine is a medium ruby-red, not highly extracted. Lifted violet, red cherry and raspberry aromas are supplemented by a lightly herbal and spice note and an earthy minerality. The wine is crisp, medium-bodied, with elevated, fine-grained tannins, This is an interesting expression of Aglianico, staying lively and expressive on the palate, with a crisp and lightly tannic finish. Excellent. For a splurge Aglianico, the choices are a Taurasi from Campania or an Aglianico del Vulture from just over the border in the hills of Basilicata—the two premiere appellations for this variety. And we will, in fact, suggest one of each. The Campania specimen is the eminent Mastroberardino Taurasi Radici (there is also a Riserva bottling, but this wine takes enough years as is to reach readiness). The Basilicata specimen is the equally eminent D'Angelo "Vigna Caselle" Aglianico del Vulture Riserva.